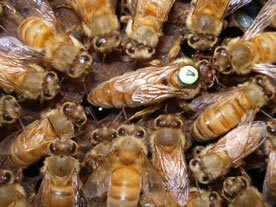 Glenn Apiaries has served the beekeeping industry for 35 years by selling queens and breeding stock from 1977 to 2012. Now we have retired to devote more time to family matters. We will continue to the support the bee industry by providing information on queen rearing and the use of disease resistant bees . 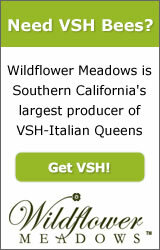 Our goal now is to share what we have learned over the years so that other beekeepers may carry on the work. 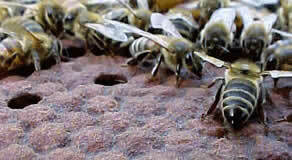 Varroa Sensitive Hygiene, a naturally occurring trait of honeybees. This behavioral trait causes the worker bees to detect, uncap and remove varroa mite infested brood. Disrupting the reproduction of the varroa mites in this way effectively limits the population growth of the mites, often eliminating the need for miticide treatments. This line of bees was selectively bred by USDA scientists in an impressive example of science working with nature to provide a sustainable solution to a very serious problem.